Toa became aware of OddJobbers at the age of six when a standard intervention saved his entire colony. Instilled with a sense of awe he became enamoured with the idea of one day becming an OddJobber himself. Following his childs dream led to years of general training with advanced study in combat tactics, ethics, suppluy, advanced piloting, and a degree in stellargeology. Toa also cultivated interpersonal negotiating skills based on his unusual natural charm. Hoping to become a field geologist for OddJobbers a unique opportunity presented itself whereby Toa was able to singlehandedly restrain a Radical Hevortie stronghold. Collecting posted reward for his prisoners Toa claimed the stronghold and it's contents as his own. Commisioning a custom craft from Veras Garage with his newfound wealth he continued his quest to become an OddJobber. Understanding the Veras/OddJobber connection, he made a few good friends who soon put in a few good words for him with a few of the right people. Currently known for his knowledge of and subsequent luck in asteroid field operations, Toa is still making friends and proving he is a good friend to have. "Toa has had the singular vision of becoming an oddJobber since he was a child, even now, dream realised, he is determined to prove himself." 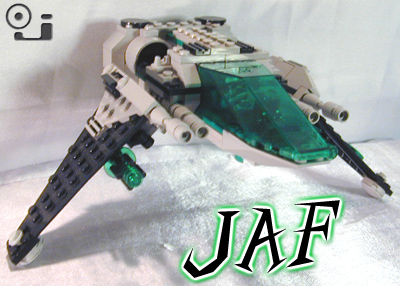 "A Jaf is a small batlike reptile that lives in lowland caves on my homeworld - it's sting can kill a full grown man." "When he wants to be.Or when he has to be." "Someday the Hevorites will come looking for him. They don't accept humiliation well you see. And he humiliated them badly. He should have killed those radicals when he had the chance."